 Certified Private Wealth Advisor® (CPWA®) is an advanced professional certification for advisors who serve high-net-worth clients. It’s designed for seasoned professionals who seek the latest, most advanced knowledge and techniques to address the sophisticated needs of clients with a minimum net worth of $5 million. Unlike credentials that focus specifically on investing or financial planning, the CPWA program takes a holistic and multidisciplinary approach. A bachelor’s degree from an accredited college or university, or one of the following certifications or licenses: CIMA®, RMA®, CFA®, CFP®, ChFC® or a CPA license. Five years of experience in financial services or delivering services to high-net-worth clients. Successfully complete a comprehensive background check. Candidates complete the CPWA education requirement through a registered education program. Depending on the registered education program you select, CPWA coursework can be completed through a combination of online and in-person executive education, or completely online. To successfully prepare to sit for the Certification Examination, the recommended study time is 10-15 hours per week for approximately 6 months. Successful candidates report studying a total of 100-250 hours to prepare for the exam. 1Classes have limited capacity and may fill up before the enrollment deadline. Candidates complete the CPWA Certification Exam, a 4 hour-long, computer-based examination administered at local Pearson VUE testing centers. The exam is comprised of 135 multiple-choice questions. Completion of the education program is a requirement for CPWA certification. The content presented during the program is designed to be educational, and should not be solely relied upon for test preparation. Instructors do not have specific knowledge of exam questions. The final step is to sign a license agreement to adhere to the Investments & Wealth Institute’s Code of Professional Responsibility and the appropriate use of the certification marks. Why Earn a CPWA Certification? Learn how the CPWA certification has increased certificants’ knowledge and skills as they work with high-net-worth clients and compare how the CPWA certification stacks up against the CIMA and other well-respected industry designations. Apply for CPWA certification now or if you have additional questions, request more information.